In this week’s Journal of Clinical Oncology, there is a full-text article in the “Comments and Controversies” section entitled “Germline testing for men with prostate cancer: navigating an expanding new world of genetic evaluation for precision therapy and precision management“. The article may be of particular interest to those who heard Prof. Leonard Gomella of Jefferson University and the Thomas Jefferson School of Medicine talk about this topic at our patient education meeting in Virginia Beach, VA, late last year. Prof. Gomella is the senior author of the current paper. 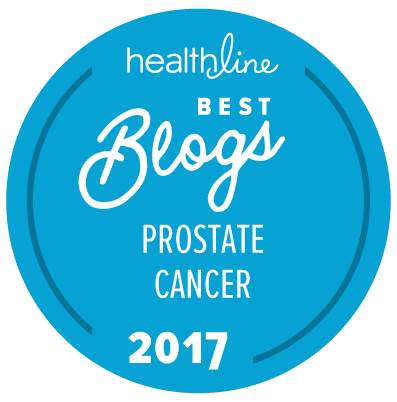 The role of germline testing of prostate cancer patients when there is good reason to believe that a patient may be a carrier of certain very specific genes, like the BRCA1 and BRCA2 genes, has become established. The broader use of germline testing is much more controversial because it is far from clear that such testing is going to benefit all patients. The full article goes into a great deal more detail, and is written for physicians, but is something that many support group leaders and other educators should be adding to their files. We are also highly conscious that recommendations in this area are likely to change over time, and that they are also likely to be impacted by issues of race and ethnicity as well. We are all on a fast learning curve as to the importance and relevance of genetic and genomic profiling in the management of prostate cancer today. Last but not least, please do remember that germline DNA testing refers exclusively to the testing of the DNA you inherited from your parents and grandparents. It can be done using a blood sample or a buccal swab for saliva. By contrast, somatic DNA testing refers to the testing of potentially mutated DNA taken from the cancer cells of a patient. This can sometimes be done using blood samples, but is (currently) most accurately done by using actual cancer tissue taken from the patient by biopsy.